My full name is Christian Riley, but everyone calls me Chris—which, of course, is the name I used for my novel. 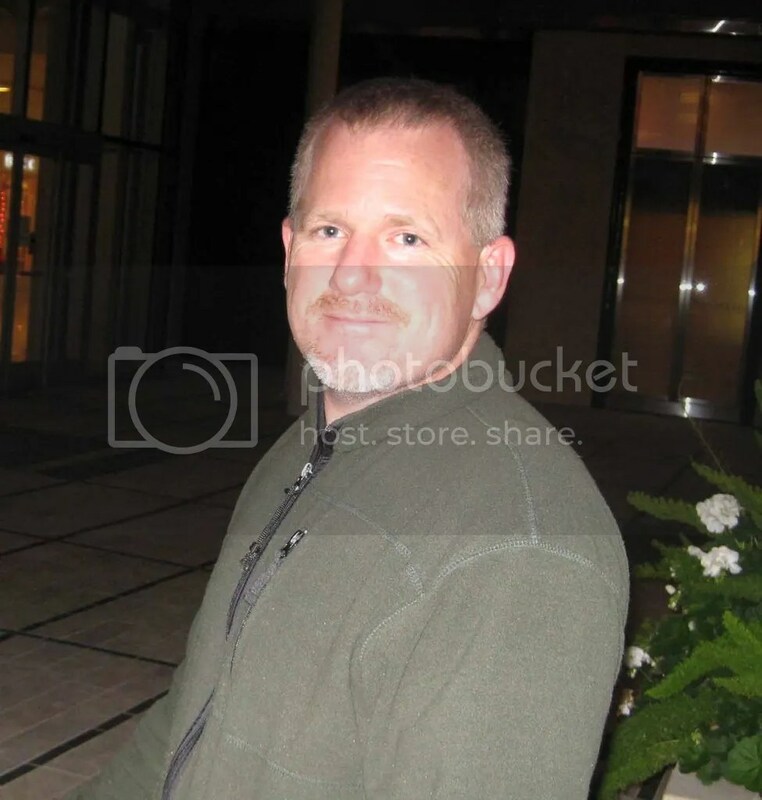 I am 46 years old, and loving life! Originally, I grew up in San Diego, CA. But I went to college at Humboldt State University, in Humboldt County, CA, and then I lived in that area for several years beyond graduation. Although I currently live near Sacramento, CA, I still consider Humboldt County as my home. Some may consider my life boring, but I wouldn’t change a thing. I teach special education at an elementary school, have been married for 16 years, and have two children. I rarely get time for myself. Of course, the biggest news is the publication of my debut novel—an event which has brought me a high level of unexpected terror! Additionally, I will be participating in book signings, and other author events, all of which is very exciting for me. Literally, a dream come true. The idea of writing has been on my mind since I was a young child. But it took me thirty-plus years to figure out just how to do that. I started writing seriously about six years ago, after realizing that some of the video games I was playing were a colossal waste of my life. I’ve had over seventy short story publications in various magazines and anthologies, and across different genres. And, I completed my first novel, as well as begun my second novel (which I am almost finished with)—all before I really considered myself as a writer. When did this realization hit me? When I got the email from my agent, asking me to call him for representation. I can cite many of my life’s experiences as sources of inspiration for this novel. But to pin down any one thing, the first spark if you will, it would have to be as a spontaneous idea that hit me one day, while swimming laps at the local pool. The act of swimming is a critical detail in the book…but I’ll let you read it to find out just why. I didn’t. 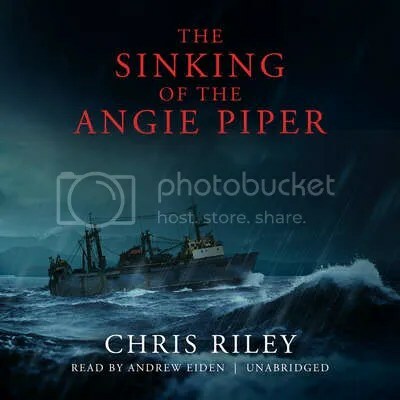 Well, technically I did – the phrase “the sinking of the Angie Piper” occurs in my novel. But that wasn’t what I had originally planned for as the title. My publisher came up with it, after opting out of my original title. I’ve written across many genres, so in that sense, I don’t consider any one specific genre as being mine, per se. But for sure, the style that comes easiest to me, and the one I find much pleasure in writing, is dark fiction. Most of my short stories fall into that category, and for whatever reason, my imagination tends to gravitate toward this subject. Ironically, there is very little darkness in THE SINKING OF THE ANGIE PIPER—as compared to what I have traditionally written. Quite the opposite; in fact, as a whole, I think it is very “uplifting”. Overall, in terms of versatility of style, author Dan Simmons has been a huge influence on me. Probably the toughest question to answer. Nothing about the story is speculative, in my opinion. Everything that occurs in this story is hypothetically possible, considering the circumstances. Even the amazing conclusion to Danny Wilson’s character is feasible. The Alaskan atmosphere I took solely from my own experiences of working up there. Some of the supporting characters I drew from real friends and family. I’ve worked with students very similar to Danny Wilson…and I’ve often felt the same frustrations and desires that plague the main character–Edward. I’m always up for traveling to support the research of my stories—if that’s possible. Sometimes, due to my demanding schedule, I have to restrict my traveling to what Google has to offer. But this question taps into the conducting of research, for the use of story development—which is something I absolutely love. I have a genuine, unending desire for learning. I am always reading, and will spend hours consulting various books and websites, and people, before diving into my next project. I love to talk with people, and won’t hesitate to pick up the phone to call on the experts information. For example, for THE SINKING OF THE ANGIE PIPER, I interviewed both commercial crab fishermen of Alaska, as well as Coast Guard personnel. It should be noted that the novel takes place prior to 1992. Sabrina Sun designed the cover for my novel. I think it turned out beautiful. Great question. 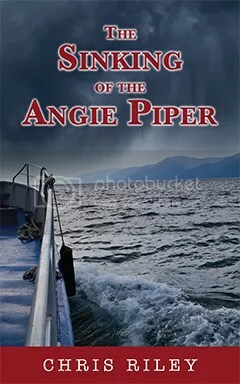 On the surface, THE SINKING OF THE ANGIE PIPER is clearly a coming of age story, one that contains suspense, drama, and tragedy. But below the surface, something I hope reaches the readers, is a story of compassion, forgiveness, and persistence. It is a story of self-sacrifice, and one containing the triumph found within achieving the impossible. Last but not least, I hope readers discover their own form of inspiration through this novel—whatever that may be. That one entity would be my writing group, and some of the members in it. I put most of my work—short stories, and novel/s—past them, for critiquing purposes, etc. They’re all good supporters to the cause of writing. I do now. Perhaps only a part-time career, but one that I take very seriously. I’ve always maintained the opinion that writing is a hobby, one in which I love, and one that pays for itself, as well as my reading addiction, through the sales of short stories. I have done quite well with that perspective. But now that I have an agent, and my debut novel coming out, along with the motivation to write more novels, perhaps this hobby will someday create a legacy for my family. That would be more than I could ask for. I would probably make a few of the ideas I tried to convey less cerebral, and more accessible to all readers. I sometimes overestimate people’s willingness to “read into” things. And I think that willingness is necessary in order to grasp all of the themes I wove into the novel. Wow. I learned a ton…so much, that I had to take frequent breaks from writing altogether, just to rest the brain. The genre of the book was unlike anything some of the readers in my writing group were used to, or cared to read for that matter. That caused a lot of upheaval, and I had to learn how to receive, filter, accept and/or reject certain opinions, in that order. I learned how to become as objective to criticism as possible, and what saved me from straying away from my goal (which I could have easily done had I listened to some of the opinions thrown my way) was the many hours I’d logged into reading. I knew what genre I was writing for, and this knowledge helped me filter through some of the negative criticism. Of course, I learned a lot about the commercial crabbing industry—which was fun. I also learned the ropes of professional editing, thanks to my publisher. I learned more about the craft of writing. I learned how generous people can be, when it came to providing me with information. Most surprising of all, I learned that much of the story seemed to write itself. At times I would discover something about the book, the characters, the story plot, etc., by sudden happenstance, often after going for a long swim, or taking a walk. Those were the learning moments I appreciated the most. Charlie Hunnam would be nice. He’s so good at playing the tough guy, but I think he could pull off Ed’s cowardly character. It would great to see him try. Write short stories. Read everything—all genres, etc., and read every day until your eyes hurt. Write short stories, and actively try to get them published. Join a writing group if possible, but be wary of criticism. Try to be original by writing a novel that is actually worth reading. Write more short stories. I hope they enjoy the book, and that they get something out of it. That they don’t regret reading it. I would encourage them to contact me, if they wish, as I love to hear from people. Most of all, I’d like to tell them Thank You! BLACK HILLS, by Dan Simmons. I would love to travel on horseback through the southwest with Louis L’Amour. That would be epic. Other than reading and writing, I have many interests. Swimming, especially in natural environments such as lakes, oceans, etc. I used to practice martial arts a lot. I like being in nature. I play the drums, and thanks to Blackstone Audio’s generous advance on my novel, I’m now playing a Roland V Series kit. Epic. With my wife, anything with limited violence and drama. We’re watching White Collar right now. A carne asada burrito, followed by chocolate cake makes for a good day. I’ll listen to just about anything, depending on my mood. And I like the contrast between cobalt blue, and limestone white, as they remind me of the one place I long to visit—Greece. I’d keep myself busy. I love to learn new things. Nothing. I want to be burned up and tossed into a Humboldt County wind.